DENVER, CO – November 26, 2014 – Africa Adventure Consultants announced a donation matching campaign today aimed at helping contain the Ebola outbreak in West Africa. Donations to support Doctors Without Borders’ work in Liberia, Sierra Leone and Guinea will be matched up to $1,000 by the company. Doctors without Borders’ (otherwise known as Médecins Sans Frontières or MSF) work on Ebola in West Africa started in March 2014, and the organization has provided support in Guinea, Liberia, Sierra Leone and Mali. 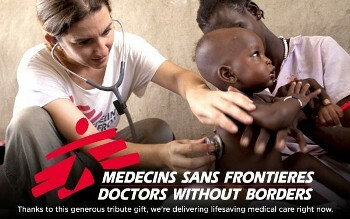 MSF currently employs about 263 international and 3,084 locally hired staff in the region. The organization operates six Ebola case management centers providing approximately 600 beds in isolation. Since the beginning of the outbreak, MSF has sent more than 700 international staff to the region and admitted more than 5,200 patients, among whom around 3,200 were confirmed as having Ebola. More than 1,200 patients have survived. More than 1,019 tons of supplies have been shipped to the affected countries since March, 2014. “There are many fine organizations doing relief work in West Africa, and a contribution to one or more of them would help the cause. We decided to focus our matching donation program on Doctors Without Borders because of their successful track record of helping in this area and others,” said Redding. The Africa Adventure Consultants campaign was launched despite the fact that to date, there have been no reported cases of Ebola in any of the 13 countries to which Africa Adventure Consultants arranges safaris: Botswana, Ethiopia, Kenya, Malawi, Mozambique, Namibia, Rwanda, Seychelles, South Africa, Tanzania, Uganda, Zambia and Zimbabwe. Africa Adventure Consultants’ top destinations are more than 3,000 miles away from the impacted countries in West Africa, and there’s no easy way to get from one area to the other. Furthermore, most of the company’s host countries’ borders are now closed to visitors from the impacted West African destinations, and they have better containment capabilities if an outbreak were to occur. Africa Adventure Consultants (AAC) is an award-winning safari company specializing in crafting custom itineraries to 13 countries in Africa, from classic photo safaris and adventure trekking to luxury honeymoons and family holidays. The staff at AAC has lived, worked and traveled throughout Africa, giving them an insider’s perspective on how to create the best safaris in the continent’s top destinations. AAC offers personalized tour planning to Botswana, Ethiopia, Kenya, Malawi, Mozambique, Namibia, Rwanda, Seychelles, South Africa, Tanzania, Uganda, Zambia and Zimbabwe. In addition to creating customized private journeys, AAC offers group tours, including gorilla safaris, Kilimanjaro climbs, walking safaris and more. 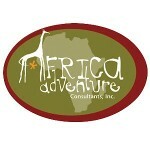 For more information, visit www.adventuresinafrica.com, call toll free at 866-778-1089 or email info@adventuresinafrica.com.